Every retailer today is digital. Whether you’re a direct-to-consumer digital brand or a 100-year old merchant with an impressive real estate footprint, data is becoming more and more important to your growth. However, harnessing data to drive business value is no easy feat. It can lead to a jumble of messy integrations that break and cause distraction. “Data Operations” is term to describe all the grunt work that has to happen before data can turn into real business value. Streamlining these Data Operations has become a requirement—not just for the retailer’s sanity, but for her bottom line. Retailers today have to worry about data flowing from every direction—vendors, marketing and advertising partners, and CRM systems (to name a few). Inter-company data sharing is messy, but can deliver outsized returns to retailers if done correctly. The promise of customer experience personalization, optimized ad and marketing campaigns, and access to more marketplaces and channels all rely on automating DataOps to become a reality. Perhaps that’s why Amazon currently has 9,930 job openings with “data” in the job title! In this article, we explain the three key rules to automate DataOps for retailers. Retailers need to think about creating scalable, repeatable processes for data integration, monitoring, and sharing, to effectively compete in today’s market. We’ll be presenting this talk at the NRF’s Shop.org in Los Angeles. Come say hello, and tell us what you think. The fastest way to see impact from data is to arm yourself with the tools to access that data. When it comes to DataOps, the key is to automate data in a way that allows business users to easily access their data whenever they need it, however they want it. Arming yourself with the right tools reduces your dependency on engineering teams in order to retrieve or send data. Lessening the load on the engineering team not only maximizes time for product/service development, but it creates more collaboration amongst business teams. Almost all departments of any business require some form of analytics in order to perform their jobs efficiently. Users need to be able to collaborate with each other to better support the company as a whole, rather than waiting on other teams to access data. Take the largest social commerce marketplace for fashion, Poshmark, as an example. Poshmark’s support team needed access to data that resided in their desk.com portal. 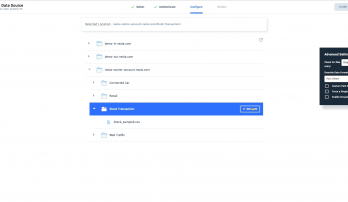 However, not only was the data not integrated with their core Business Intelligence platform, Looker, but the data wasn’t provided in the format required. So the team spent a significant amount of hours every week manually updating Excel sheets. This manual updating of data also created a possibility of human error. Given Poshmark’s focus on providing top-notch community support, this information needed to be easily accessible. Poshmark used Nexla to easily access, integrate, and move the data they need within a day. No engineering resources were needed to get the desk.com customer support data into their analytics database. With this data available, the analytics team could build dashboards in their BI tool of record Looker. The customer support team (along with the analytics and executive teams) was armed with the data they needed with no more manual effort. Monitoring data streams seems like the most boring job in the world—until something breaks and fixing the problem becomes Priority #1. Once you have an integration complete, the monitoring fun starts. A software solution that automates monitoring and alerts you to any unexpected changes to your data is essential. The only time you should be worrying about your data integration is when something needs your attention. That’s why Nexla continuously monitors your data for you in real-time. Take the case of a successful shopping app which lost access to historical app store data when an API integration went down. Executives wanted to know how App Store conversions were looking historically. The team realized the API had gone down weeks ago, and they were now unable to retrieve that historical data. No one had needed the data, so it wasn’t noticed. 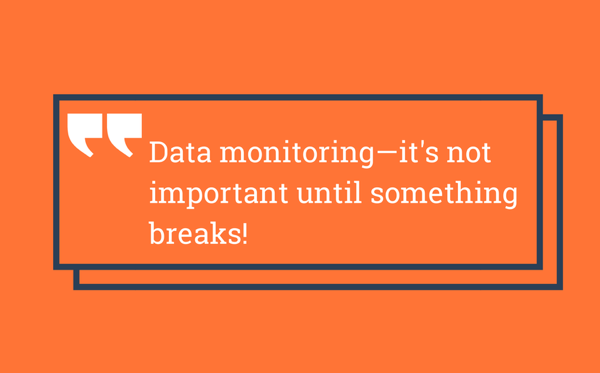 Data monitoring—it’s not important until something breaks! A software solution that monitors data flows, schema changes, and anomalies is the best way to stay on top of things. Data lineage—tracking the source and movement of every data point—greatly reduces the time spent trouble shooting and fixing issues. It’s a tale as old as time. Partners have their own way of operating. Therefore, they never send the data in the format you want. The data can also be duplicative, poorly formatted, and inconsistent—the perfect recipe for data pains. No matter how many transformation jobs or pivot tables you run, the data is never going to be in the precise format you need. And chances are the situation isn’t so rosy on the other side either. Your partners are dealing with their own processes and likely incurring data pain to get data to you. Nexla sets out to ease that pain. Automatic data integration is no benefit if the data integrated is still disorganized. With Nexla, help your partners save time and effort while getting the data you need in a more usable way. Take the case of an e-commerce marketplace. Some of its vendors had an inefficient process to update product details, pricing, and inventory: A full data dump of their catalog every day. it was taxing for the marketplace to compute what data was actually changed, and what data was just duplicative. 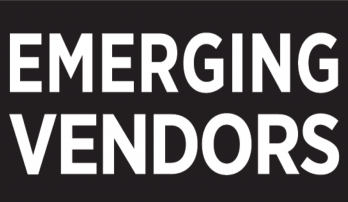 For the vendors, the volume of data sent incurred unnecessary cost. Both parties would have been happier to send and receive the data changes only. Using Nexla, vendors are able to select the data that has been updated in the last day, and share that. The marketplace gladly receives this incremental data. It doesn’t have to worry about the cost of compute. Using a software solution to make it easy to share only the relevant data is a huge win for both parties. Solving the root cause saves time, money, and aggravation. 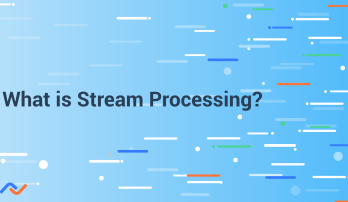 DataOps isn’t just about processing data more easily, it’s about processing data in a thoughtful way. Follow these three rules and you’ll be on your way to healing the DataOps pain. To learn more about Data Operations in retail and how to automate yours, swing by our shop.org tech talk at Tech Talk Stage 4 on Wednesday at 10:45 AM, or visit us at booth #2210! In the area but not attending Shop.Org? Drop us a note at sales@nexla.com and we’ll schedule a time to chat.